Not only will this expansion allow us to better serve our customers and increase our capacity to innovate as we continue our growth trajectory, but, most importantly, we are adding much needed jobs to the California economy." 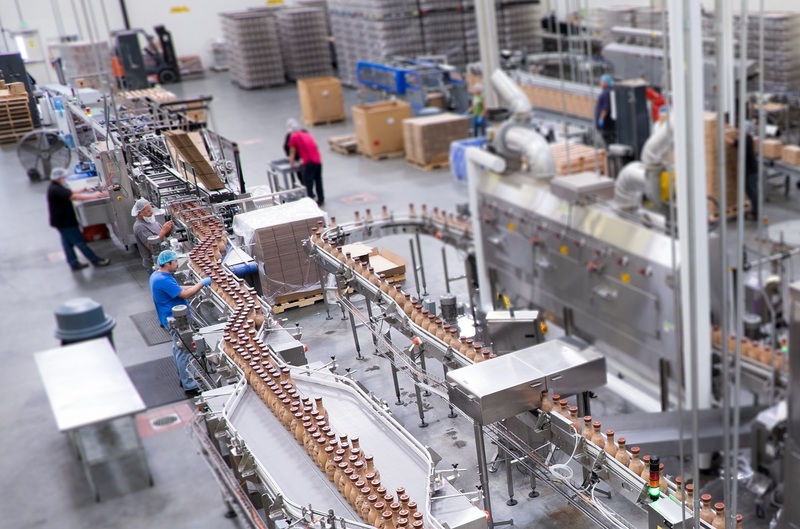 Califia Farms has expanded its operations’ footprint in Bakersfield, California with a 52,000-square-foot state-of-the-art distribution center. 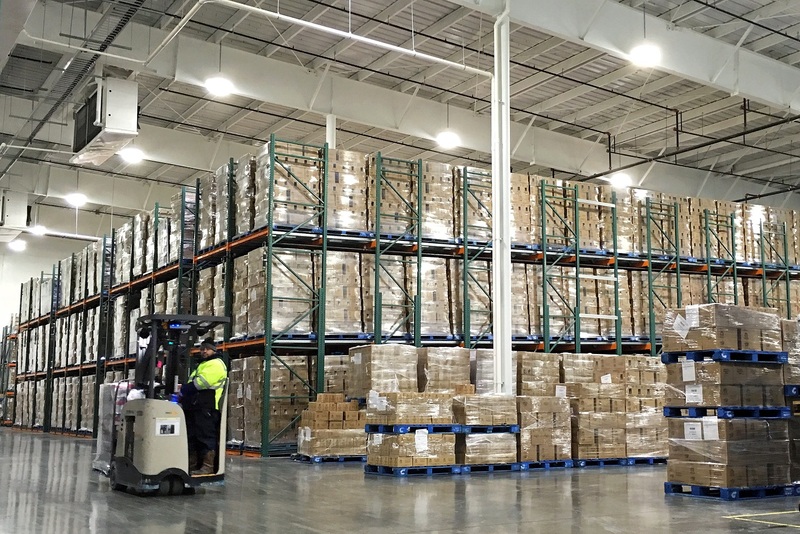 The new distribution center sits adjacent to Califia’s 40,000 square foot bottling plant in the heart of California’s agricultural center, and runs 24/7 to meet the needs of the company’s rapidly growth in plant-based beverages, including its popular Almondmilks, Creamers and RTD Cold Brew Coffees and line of Citrus Juices, made from California-grown Meyer lemons, tangerines and oranges. Califia Farms was founded in 2010 by beverage visionary Greg Steltenpohl in partnership with California-based Sun Pacific’s Berne Evans, a major citrus growing pioneer who brought the Spanish clementine to California in 1969. Today, joined by the Stripes private equity group with a $50M investment, Califia Farms is a major industry player in citrus, coffee and almond milk and was named “Brand of the Year” by BevNet and a “Breakout Brand” by Beverage World in 2015. Califia Farms is as Californian as it gets – over 95% of the ingredients included in its beverages are sourced in California – and the company works closely with local agriculture to support local farmers and growers. In fact, the majority of the footprint of its Almondmilk production, from sourcing to bottling, is within a 30-mile radius. 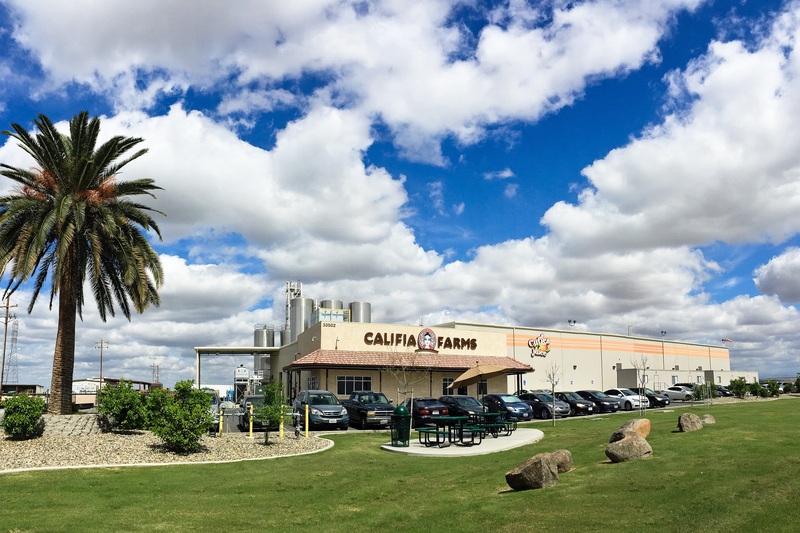 Adjacent to Califia Farms’ distribution center is a new nut and grain processing facility, enabling experimentation with a variety of plant-based ingredients to further enrich and enhance Califia Farms’ beverages. In addition, there’s a miniature “pilot” plant in the works, a state-of-the-art factory capable of small runs for specialized and regional product development. Both the distribution center and the plant are eco-friendly and energy efficient and repurpose more than 98% of post-production byproduct. The company is leading the way with the mission to de-commodify the food and beverage industry by creating innovative, healthy and great-tasting premium beverages that make it easy for consumers to go ‘plant-powered’ and dairy-free, without compromise. In 2015, Califia’s revenues doubled, and it increased distribution to more than 27,000 storefronts across the country, including natural, conventional and specialty markets. 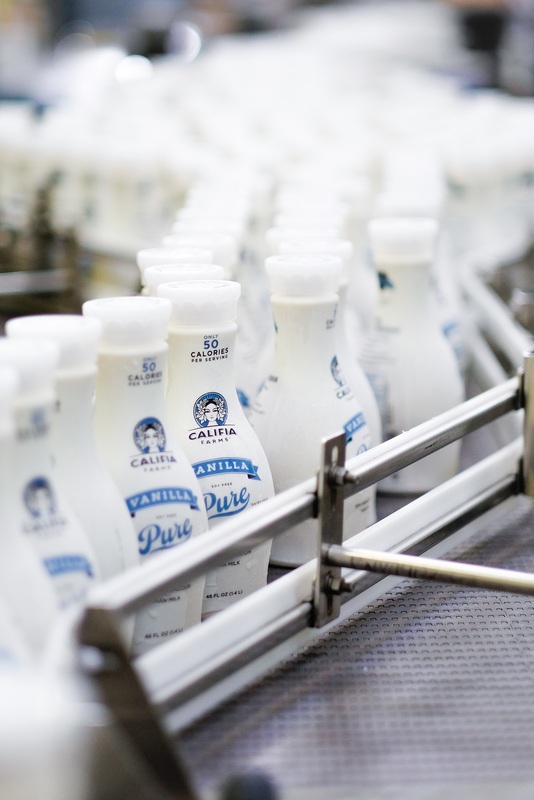 With its Almondmilks experiencing triple digit growth year over year and accounting for 75% of the category expansion(1), Califia Farms is playing a key role in the growth of alternative dairy sales. In addition, the company’s RTD Cold Brew Coffee with Almondmilk is number one in the natural channel, accounting for 50% of the natural category expansion, and overall sales grew 106% year over year(2). While sales of its alternative dairy creamers, including Better Half, a revolutionary nut-based alternative to Half & Half, have experienced triple-digit growth year over year, compared to just 3.9% growth for the creamer category. Join the conversation with @CalifiaFarms on Facebook, Twitter and Instagram. Inspired by the bounty of California, Los Angeles-based Califia Farms’ (http://www.califiafarms.com) mission is to innovate delicious plant-powered foods for mindful nourishment. The Company creates innovative, healthy and great-tasting premium beverages that make it easy for consumers to go ‘plant-powered’ and dairy-free, without compromise. Founded in 2010 by a farmer’s co-operative in the San Joaquin Valley and headed by beverage visionary Greg Steltenpohl, Califia Farms is one of the fastest-growing natural beverage companies in the U.S., as well as the leading brand in the natural products coffee drinks category. In 2015, Califia Farms was named “Brand of the Year” by BevNet and a “Breakout Brand” by Beverage World.